At the annual meeting of the Conservation and Research Foundation on October 19, 2014, the Trustees voted to discontinue the existence of the Foundation and donate its endowment to the Connecticut College in honor of our founder, Dr. Richard H. Goodwin, Sr. The funds will be held in Trust by the college and the income from the Goodwin Environmental Trust will be used to further their environmental educational programs. The Foundation has also provided $42,600 in new grants for the coming year as in past years. We are also honoring our commitment to provide for two Pelton Awards of $1,000 each already awarded to deserving botanists chosen by the Botanical Society of America from a capital gift to the Foundation from Dr. Fred Kavanagh who provided the funds for these awards many years ago. The Pelton Award will now be funded and administered by the Botanical Society via a Trust Fund our Foundation will provide. The CRF is helping support carnivore conservation through the Ruaha Carnivore Project in Tanzania. The RCP, part of Oxford University’s Wildlife Conservation Research Unit (WildCRU), aims to help develop effective conservation strategies for large carnivores in Tanzania’s remote Ruaha landscape. This vast wilderness includes Ruaha National Park, which is the largest Park in Tanzania and the second largest in the whole of Africa. It is one of the most important areas of the world for large carnivores, supporting around 10% of all the lions left in Africa, as well as globally important populations of African wild dogs, cheetahs, leopards and spotted hyaenas. Given the dramatic declines undergone by all these species, this is an extremely important area for remaining carnivore populations. Lions alone have disappeared from over 80% of their range, and resident cheetah populations are now gone from over 90% of their range. Learn more from RCP’s Director Dr. Amy Dickman in this video from National Geographic. Vogelmann’s scientific grasp of the interconnectedness of ecosystems, and his ability to convey them to non-scientists, was legendary — and helped forge conservation efforts throughout Vermont. In lieu of flowers, contributions honoring Hub and in support of the UVM Field Naturalist Program, which he founded in 1983, may be made to the Hub Vogelmann Fund, c/o The UVM Foundation, 411 Main Street, Burlington, VT 05401. Support from the Conservation and Research Foundation helped to catalyze urgently needed action by Project Seahorse for conservation of seahorses in Thailand. Thailand’s trade in three species of seahorse was designated as “Urgent Concern” during a CITES Review of Significant Trade (CITES = The Convention in International Trade in Endangered Species in Wild Fauna and Flora). As a result, the CITES Animal’s Committee made research and action recommendations to Thailand’s CITES Authorities, along with deadlines for their implementation. 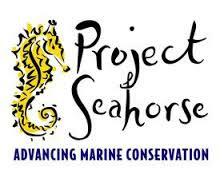 Project Seahorse’s work has helped initiate recommended research and conservation efforts. 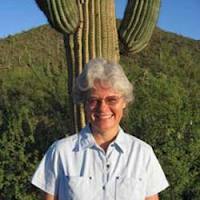 Congratulations to Dr. Martha Hawes from the University of Arizona for winning the 2012 Pelton Award from the Botanical Society of America. Martha is well known for her work on root border cells. In the past, most people considered these cells to be ”sloughed-off root caps cells” that were non-viable and without function. Martha’s entire career has focused on changing this perception and now border cells are described in numerous botany textbooks. Throughout her entire career, she has been very creative in designing experiments to understand the basic biology of this unique cell type especially in light of how border cells fight plant disease. These metabolically active and viable border cells “trap’ fungi and other potential pathogens, which are then detached from the root surface leaving the root tip free of infection. Considering that the root tip serves as one of the major sources of root exudates that can attract microbial pathogens, the fact that this exceptionally vulnerable region of the root is protected from infection by the border cells is a real paradigm shift. A gift from Frederick Kavanagh endowed the award to honor the memory of Jeanette Siron Pelton, an inspiring teacher whose special field had been plant morphogenesis. Trustees of the Conservation and Research Foundation met on a beautiful fall day in Vermont to discuss current proposals. Stay tuned for updates on recently funded projects, and for more information on our proposal guidelines, please follow THIS LINK. Living Oceans Society has worked for years to identify and protect important coral and sponge habitat off the coast of British Columbia from destructive fishing practices. In 2009 they conducted the Finding Coral Expedition to areas off the coast of British Columbia to locate deep-sea coral forests. The expedition was a successful, ambitious venture that took years of fund raising and months of planning by their science team and staff from Nuytco Research who built and maintained the submarines. Observations and underwater video recordings revealed that these beautiful corals and sponges provide crucial habitat for many species of fish and other organisms. The Finding Coral Expedition also caught the attention of the B.C. bottom trawl fleet. Following the team’s return, Living Oceans and other environmental partners began discussions with the B.C. bottom trawlers to explore ways to reduce the fishery’s impacts on corals, sponges and other deep-sea habitat. As a result, after years of negotiations, on March 28th Living Oceans Society announced with representatives of the Canadian Groundfish Research and Conservation Society, a suite of substantial measures to reduce the bottom trawl fishery’s impacts on fragile deep sea ocean ecosystems. A joint habitat committee composed of representatives from industry, environmental groups and DFO to evaluate the measures at the end of each fishing season. These groundbreaking measures represent significant steps forward along the road to sustainability for this fishery. The Conservation and Research Foundation is proud to have contributed to the work of Living Oceans. For more information on their ongoing work, visit their web site at http://www.livingoceans.org/. The Rushikulya sea turtle rookery, Odisha is a busy place. Thousands of endangered Olive Ridley sea turtles have reached the shoreline of Bay of Bengal and started their annual mass nesting. The other two mass nesting sites of Gahirmatha and Devi mouth in Odisha have also seen many Olive Ridley sea turtles. 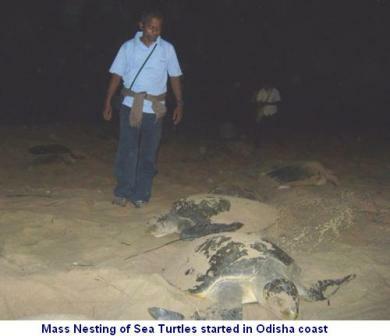 Although mass nesting (or arribada) takes place in these beaches, the adjacent beaches also contribute through sporadic nesting of sea turtles along 480 km long Odisha coast. The volunteers of Action for Protection of Wild Animals (APOWA) have been monitoring the mass nesting and working to protect the species from undue disturbances. The mass nesting started the early evening of February 29th at the mouth of the Rushikullya River. Coastal erosion continues to be a threat, and the support of the Conservation and Research Foundation and many other groups has helped APOWA continue their efforts. Find out more about APOWA and their conservation efforts at http://www.apowa.org/. The Conservation and Research Foundation continues to support the Western Lands Project (WLP) as one of the main U.S. organizations working to keep public lands public. WLP relies on a multifaceted strategy that includes government watchdogging, citizen outreach and education, advocacy and reform, and legal challenges. From improving projects at the grassroots level to shaping national policy, they are working to protect America’s national parks, forests, grasslands, and open spaces for the sake of future generations and for healthy ecosystems. The public land deal process can stretch over many years. While some projects are on our docket for a few months, WLP tracks others for years as they wind through federal procedures. As a specific example, WLP continues to work with two Idaho grassroots organizations on a proposed exchange that would cede over 28,000 acres of National Forest land to Western Pacific Timber in exchange for more than 39,000 acres of clear-cut forest in the upper Lochsa River drainage. In November 2010, the revised Draft EIS was completed which included this option. The staff attorney for WLP submitted in-depth comments and continues to follow this deal closely and provide technical and legal assistance to local grassroots groups and concerned citizens. Similar monitoring work is ongoing in a proposed land exchange within the Santa Rosa and San Jacinto Mountains National Monument in California, the Eagle Valley Land Exchange in Eagle County, Colorado, and a proposed land exchange between the BLM and Howell Petroleum Corporation in Wyoming. The WLP also has dozens of projects with a focus on citizen education and empowerment, policy reform and advocacy, and ongoing legal work including their longest-running legal battle challenging a proposed land exchange to expand an open-pit copper mine into adjacent wildlife corridors in Arizona’s White Canyon Resource Conservation Area. For more information on the Western Lands Project, visit their web site here. The Conservation and Research Foundation is pleased to have supported a new initiative at the Rocky Mountain Institute that is culminating in a book to be released later this year called Reinventing Fire: Bold Business Solutions for the New Energy Era. Reinventing Fire has been an Institute-wide effort to create an integrated vision of a carbon-free economy and the pathway to achieve it, and has been structured around four main areas: electricity, transportation, buildings, and industry. The initiative is developing a set of pathways toward an ambitious but pragmatic energy transition led by business for profit and supported by novel public policy. Imagine fuel without fear. No climate change. No oil spills, no dead coalminers, no dirty air, no devastated lands, no lost wildlife. No energy poverty. No oil-fed wars, tyrannies, or terrorists. No leaking nuclear wastes or spreading nuclear weapons. Nothing to run out. Nothing to cut off. Nothing to worry about. Just energy abundance, benign and affordable, for all, forever. That richer, fairer, cooler, safer world is possible, practical, even profitable-because saving and replacing fossil fuels now works better and costs no more than buying and burning them. Reinventing Fire shows how business-motivated by profit, supported by civil society, sped by smart policy-can get the US completely off oil and coal by 2050, and later beyond natural gas as well. Authored by a world leader on energy and innovation, the book maps a robust path for integrating real, here-and-now, comprehensive energy solutions in four industries-transportation, buildings, electricity, and manufacturing-melding radically efficient energy use with reliable, secure, renewable energy supplies.Popular in tone and rooted in applied hope, Reinventing Fire shows how smart businesses are creating a potent, global, market-driven, and explosively growing movement to defossilize fuels. It points readers to trillions in savings over the next 40 years, and trillions more in new business opportunities. Whether you care most about national security, or jobs and competitive advantage, or climate and environment, this major contribution by world leaders in energy innovation offers startling innovations will support your values, inspire your support, and transform your sense of possibility.Pragmatic citizens today are more interested in outcomes than motives. Reinventing Fire answers this trans-ideological call. Whether you care most about national security, or jobs and competitive advantage, or climate and environment, its startling innovations will support your values, inspire your support, and transform your sense of possibility. This peer-reviewed “grand synthesis” shows how the U.S. in 2050 could need no oil, coal, or nuclear energy to run a 158% bigger economy, $5 trillion cheaper (not counting externalities), with the transition led by business for durable advantage and requiring no Act of Congress. For more information on pre-ordering the book, see the Amazon.com book site.